When Elizabeth, the founder of Elephantopia, a wonderful non-profit organization came and asked us to put together a Safari to Zambia, we jumped. They #SaveElephants #BuildCommunity. They have built a great community world-wide that supports Kavala, an orphaned elephant located in Zambia. 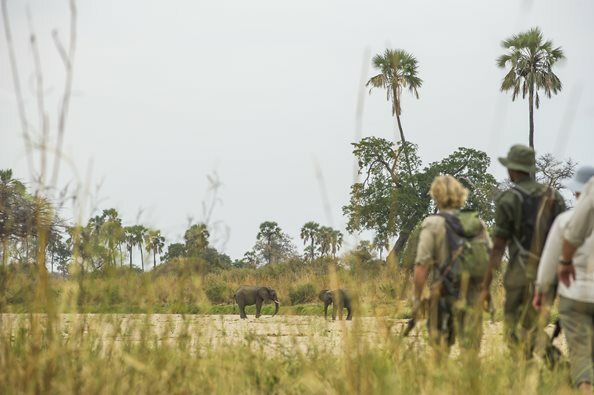 Their partner on the ground in Zambia is Game Rangers International. Kavala started out at Lilayi Nursery in Lusaka and is now in Kafue National Park in their release facility. We want a safe life for Kavala outside of her current protected ‘home’. Not only does Elephantopia support Kavala, they have also work hard at raising awareness of elephant plight around the world. And of course, the grave concerns of extinction with the current rate of elephant poaching. They are activity in informing the world that every day, about 100 elephants are murdered for their teeth, or called ivory. And the killing is for what? Trinkets, fancy carvings or chopsticks and more. The message is simple – Stop the Buying and the Killing will Stop. Elizabeth and Elephantopia want to go visit Kavala and other orphans who benefit from the money raised for Game Rangers International. And then go on a Safari to appreciate the elephants in the wild, the way they should be! May 19 // Arrive into Lusaka. Transfer to your hotel. Latitude 15. May 20 // Lilayi Elephant Nursery Lusaka. Have lunch. To Kafue National Park. Mukambi Lodge. May 21 // Kafue National Park. Mukambi Lodge. May 22 // Kafue National Park. Mukambi Lodge. May 23 // Flight from Lusaka to South Luangwa. Flatdogs Camps. May 24 // South Luangwa. Flatdogs Camps. May 25 // South Luangwa. Flatdogs Camps. May 26 // South Luangwa. Flatdogs Camps. May 27 // Flight from Luangwa to Lusaka arriving 2:00 pm. Transfer to your day-room. Relax. Transfer to airport for flight home. Here is the detailed Safari Itinerary via dropbox. Join Elephantopia on their Safari and #SaveElephants #BuildCommunity. A Family Safari in Tanzania. I am privileged I get to return to Tanzania every year and head back on my favorite thing to do … be on a Safari. Tanzania is where I grew up. Last June, we made it a family affair again. 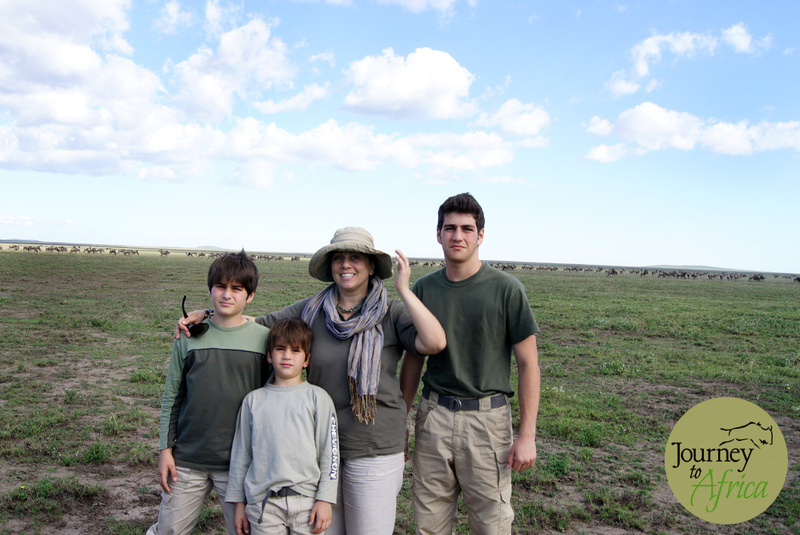 I brought my family based in Houston, Texas on Safari and it was perfect. We spent time in Tarangire, Ngorongoro Crater and finished off in Zanzibar Island. 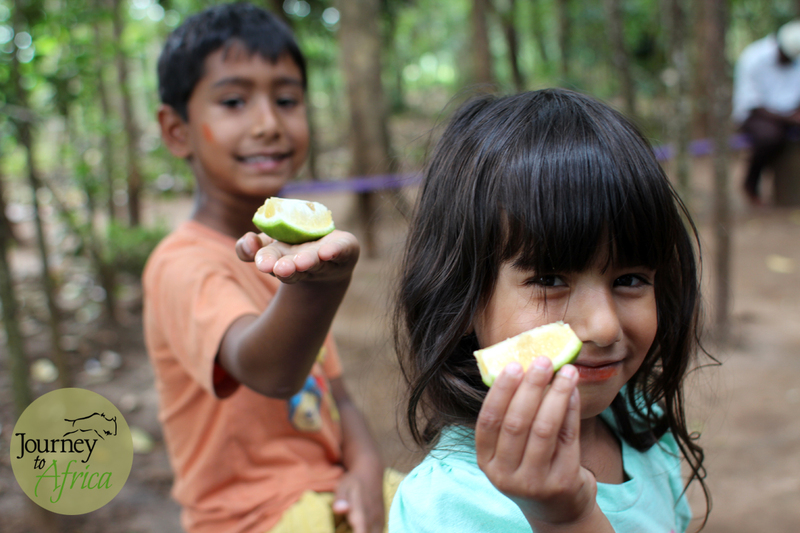 The kids loved it and the best part is that they are still talk about their experience. Now that is priceless! Here is a Safari itinerary to get your thoughts going. 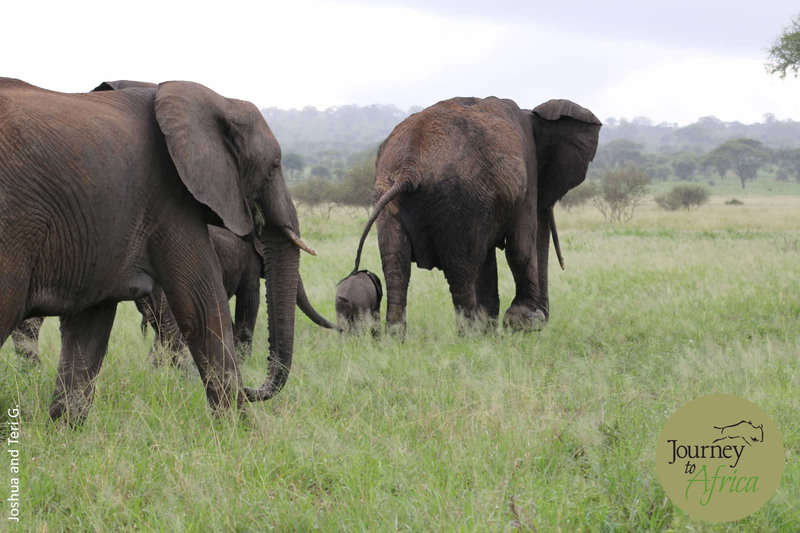 Together, we can work on the final Safari itinerary that best fits your family. We will pick you up on arrival into Kilimanjaro Airport. Transfer to your lodge for a good night’s rest before the Safari excitement starts. Spend a day in Arusha. Arusha is a bustling mini-city. Before you get to Arusha, you and I will have come up with a plan on what you and your family would like to do in Arusha. – Visit a local primary or secondary school. We will arrange in advance for the children to sit in a classroom and observe. Maybe spend time playing. – Go shopping in Arusha’s central market. A very different grocery store experience. – Enjoy coffee and lunch at Stiggybucks, a local coffee shop run by a friend of mine. This lovely park has huge elephant herds, lions, leopards, kudus and birds. 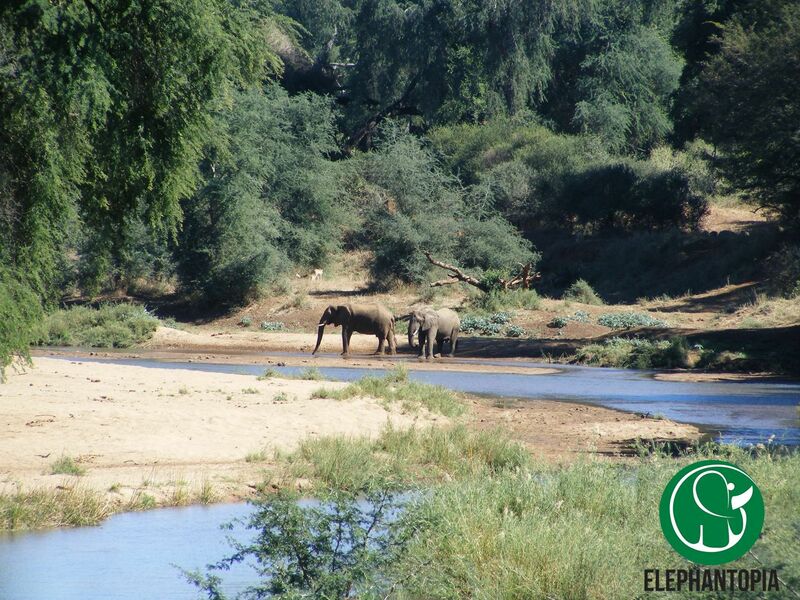 Spend time watching the elephants splash themselves in the Tarangire River or Silale Swamps. Our guides will teach them about conservation as well as wildlife information. Go to a Maasai Village and get a behind the scenes look at how these unique tribe has managed to retain its culture in modern world while embracing some of the technology yet still surrounded by wilderness. Sometimes the relationship works, and other times, there are clashes. This amazing 12 mile sq. radius national park has some of the highest density of wildlife within the walls. Black rhinos roams this protected areas besides resident lions, cheetahs as well as zebras, impalas and the cerval cat. This park needs no introduction. You have to enjoy a minimum of 3 nights here to fully immerse yourself in this vast national park. 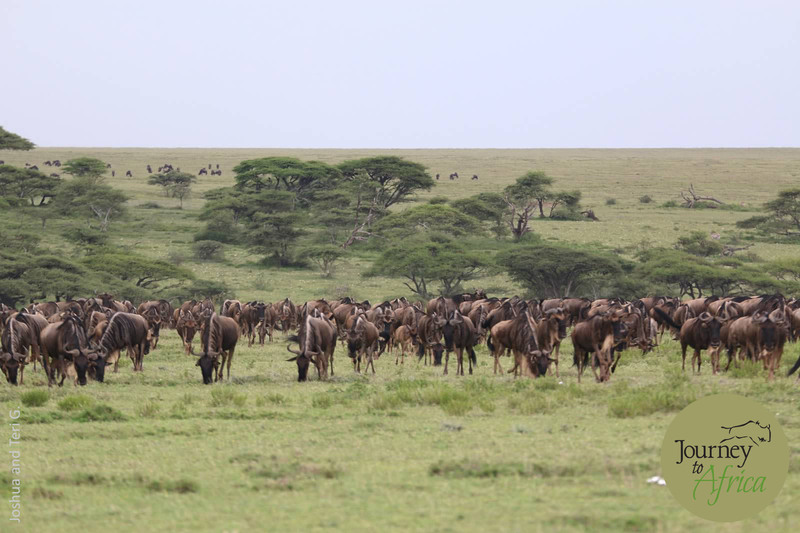 Beside the Big 5, you have the wildebeest and zebra migration draw … a site you must witness to believe. The location of where you stay depends on the month of your Safari. The animals are constantly moving. We will fly you from Serengeti to Arusha Airport in the morning. Lunch at the lovely Shanga River House where you will visit a for-profit organization that is helping the disabled community by giving them work. You will find some lovely souvenirs to take back home. Rest up before you fly back home. We hope you are making plans for your return Safari to Tanzania. Starting from $4,580 per person in a family friendly room. Estimated for a family of 4. This is just a start. No two Safaris are the same. 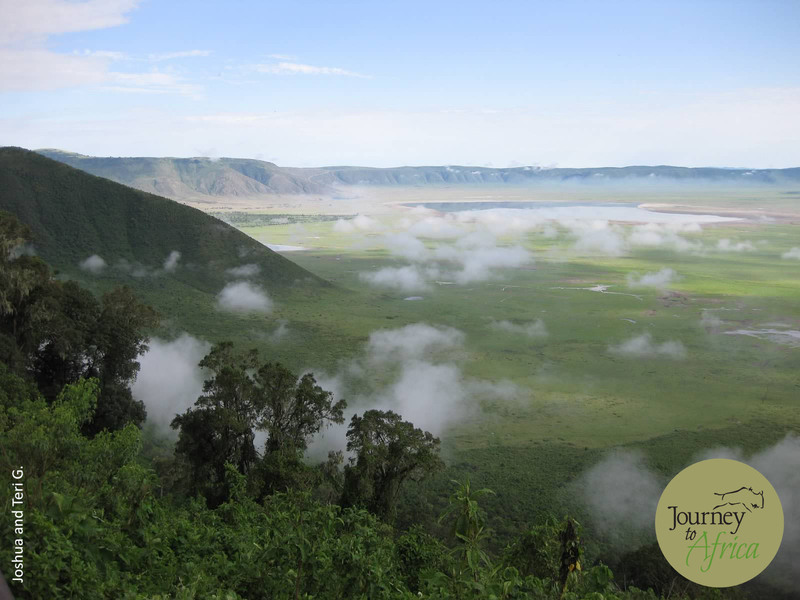 – Add two night to Lake Eyasi and visit the Hadzabe and Datoga tribe. – Have more time to spend on Safari? We can visit two areas in Serengeti. – Are your kids older and enjoy biking? Lake Manyara area offers this great opportunity. – Want to finish off on the beach like we did in Zanzibar Island? You will love it. If you can get your family to travel during the low season from April – May | November to mid-December, we can find great discounts. Children under 6 years do not pay park fees. Together, we can plan in making unforgettable memories on your Family Safari. 5 unforgettable Safari experiences for Mothers. 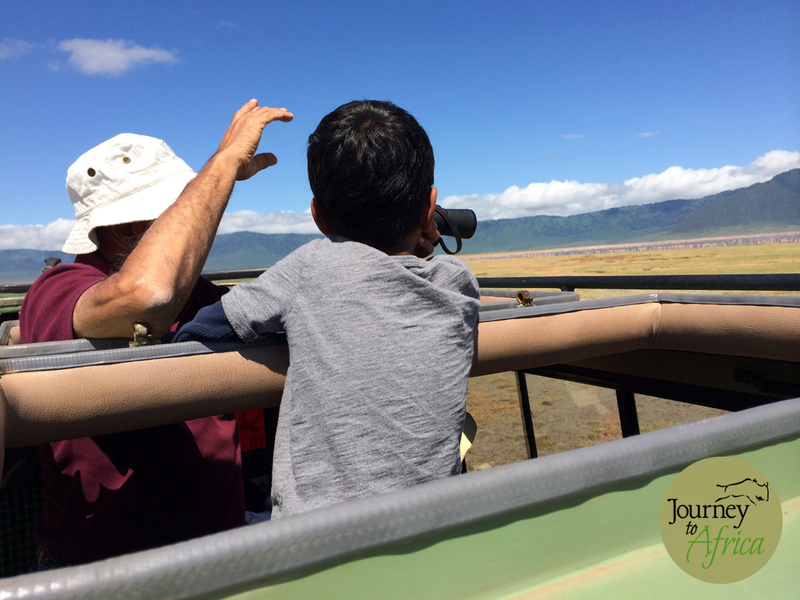 Being on a family Safari is a special time to make memories that you can remember forever. And who better than a mother, who loves getting everyone together, so that family stories are kept alive. Indulge mama on her Luxury Safari. We know 5 experiences mommy would love on her Safari. 1] Let’s start with jewelry. Mamas, we all like browsing, receiving and buying jewelry. On Safari, you will see lots of beautiful Maasai jewelry on display. So why not go straight to the source to see how it is done. Head to the Maasai village with our friend Tati of Tanzania Maasai Women Art. Spend time with the Maasai women seeing how they use their beads to create unique jewelry piece. She will always have something to admire and reminisce. The Maasai women get assistance designing these unique pieces from an Italian designer. This relationship has helped the Maasai women gain financial independence and given us jewelry that we mother’s can enjoy. We love supporting other women. 2] A cooking class in the middle of Serengeti. Chefs at many of the lodges will set up time to help mother’s cook up a feast. Of course she will have lots of help from the sous chefs and the kitchen staff – she is on Safari after all. The chef will show off their talents in their kitchen. The chef will come up with a cooking plan that best suits mama and her cooking skills. A gourmet meal is always on the menu on Safari. 3] How does date night sound on Safari! Would mommy be traveling with young children? A big yes to bringing children on Safari. Babysitters are available! The babysitter can play with the children in the room until you get back from your date-night dinner. The goal here is for you to enjoy a delicious dinner with amazing wine under the African skies on your night out. Bliss on Safari. 4] A massage for mama. Imagine coming back after your wildlife viewing to a soothing room, essential oils burning, and a massage. Don’t you feel your muscles relaxing already? Some of the lodges take you outside where nature gives you the music. Get pampered on your Safari. Yes mom, you deserve it! 5] Fly high over Serengeti or Tarangire in a hot-air balloon. Oh the little luxuries in life for the mother in your family. Soar over the African savannah and enjoy this special family moment in your own balloon basket. Upon landing, you will have a breakfast table set up in the middle of the park where you can toast with champagne bubbles and enjoy a delicious English breakfast under a tree. A high flying family treasure to keep. Add any of these fun memory keepers to your family Safari. Happiness is being on Safari. Call us on our Toll Free No. at 1.877.558.6288. 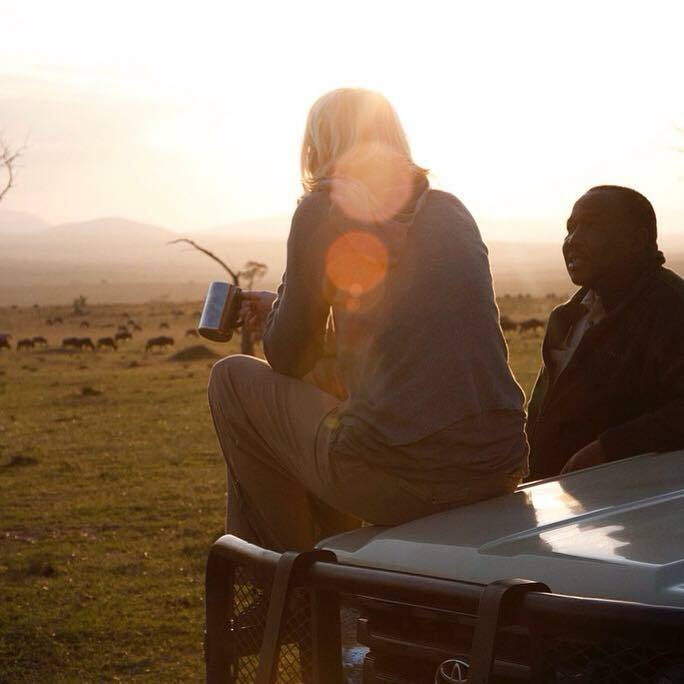 When on Safari, the most important element that can make or break your Safari is your guide. Our guides make your Safari! It is the reason our clients come back. Our guides have credentials from wildlife colleges but every season, they go through intensive training about everything from psychology to how to make you feel comfortable via body language and so much more. Another thing they learn – photography. 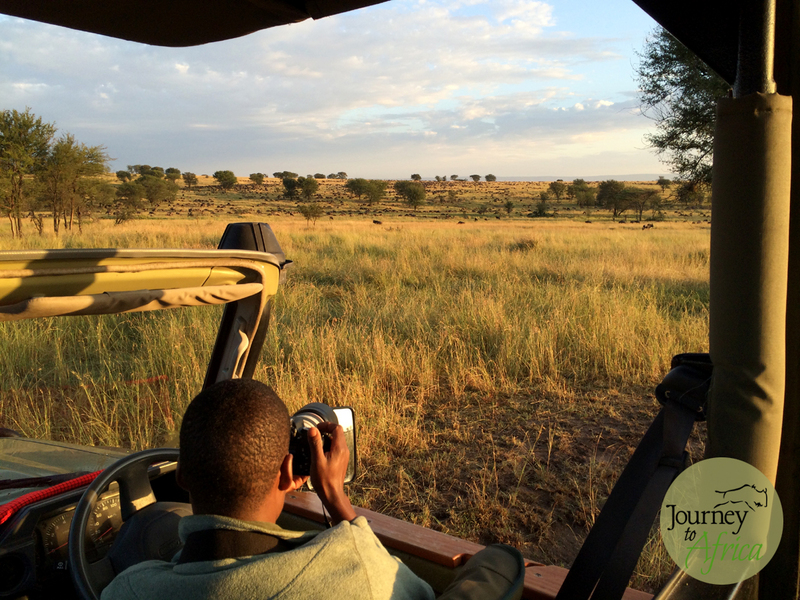 Photography on Safari is vital for our guides to know. We have a range of clients from hobbyists, amateur photographers to professional photographers whose work is well-recognized world-wide. Lighting is crucial. Early morning before the sunrise to capture the first light of day break. How to avoid shadows in the hot mid-day sun. Positioning the vehicle in the right angle to capture the golden hour in the evening. Sunset shots are amazing and when you have a wildlife silhouette, dreamy. These little tricks of the trade are taught. Some of our guides are great photographers themselves. If we know in advance what you need, our guides will equip our vehicle with supplies like bean bags for stability. We always carry a few in our vehicles anyway. Any specific need you have, we can work with you. Need to do filming in Tanzania? Our guides will drive special vehicles built for filming. They are open on one side and the gear can be placed on the ground of the vehicle for a lower angle view. Our partner companies in Tanzania have taken professionals like Nick Brandt on Safari, the National Geographic team to Anthony Bourdain for Parts Unknown. Reuben, my guide from Olakira Camp in Northern Serengeti with my camera. For a hobbyist like me, I let my guides help. They would help me with lighting, shutter speed, angle, etc. They got me some good shots while I got to enjoy the experience. The picture above is in Northern Serengeti on our early morning game drive and the Wildebeest and Zebra migration was grunting its way into this beautiful region. I brought home some great pictures and some shots, I can not take credit for. You decide if you want to do that on your Safari. Twende Safari – let’s go Safari. My 2015 intentions were to enjoy more adventures. Well, I am heading back to Tanzania and expanding my knowledge base. There is still so much to explore in lovely Tanzania. My Safari adventure will never stop. On this Safari, I head first to my base in Northern Tanzania before I venture to Southern Tanzania. My first Safari stop will be Lake Natron. I have passed through Lake Natron so many times when flying to Serengeti. I am excited to be on the ground in this remote landscape. I am heading here with elite guide Paul Oliver. I have known Paul for 14 + years. He has given me lots of advise over the years with Journey To Africa. I also started using Oliver’s Camp in Tarangire when it was run by him and Tati back in the early 2000. When it was run by Paul, it was a rustic little camp but having Paul and Tati share stories by the campfire in the evening was priceless. Being with Paul to wild Lake Natron should be an adventure. The rough roads, the dry, hot and humid conditions for walking, flamingo filled soda ash lake, off the beaten path encounters with the Maasai tribe, the amazing views of Ol Doinyo Lengai … I hope to come back with wild stories to share. 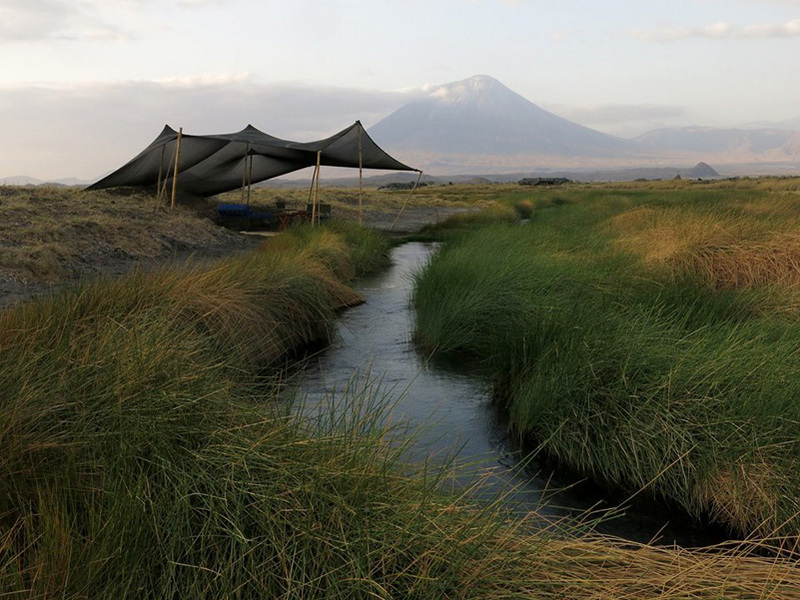 I will be spending two nights at Lake Natron Camp, an eco-friendly camp run by Ake Lindstrom, a Mt. Kilimanjaro climbing expert who has been on the mountain around 50 times. Then off to Ruaha National Park, the largest National Park in Tanzania. Ruaha has been everywhere in the travel news lately. Conde Nest, National Geographic to CN Traveller and more. Why I think? Daily flights, more luxury camps within the park boundaries and expert guiding both by vehicle and on foot is a major draw to this park. I really enjoyed my Serengeti walking Safari and I am excited to be trying it out in Ruaha. I hope to see large buffalo herds, elephants, lots of cats and because I am going in March, birds should be plentiful. In March, the park is going to be lush, the green season, as opposed to yellow season which is from July to October. I am also excited to explore Ruaha with my client Sally. Sally has been on two Safaris to Northern Tanzania with Journey To Africa. She is taking a group for an amazing Safari to Selous Game Reserve, Ruaha, Mahale Mountains and stunning Greystoke Camp, Tarangire and Serengeti in 2016. I know! When I told her I am going to explore Ruaha and Selous, she jumped on board to come on a quick get-away. To say she loves being on Safari in Tanzania is an understatement. Sally and I will head to Selous Game Reserve, my final stop on this Safari. I have waited 10 + years to get to this game reserve. It has a lot of elements that would be a perfect combination to Northern Tanzania. Boating on the Rufiji River and it’s tributaries and the many lakes, fishing on the boat or the shores, lots more walking Safari and generally a slower pace of Safari. From what my colleagues tell me, being in Selous means relaxing by the river and casual game drives as it is not all about the wildlife concentration of Northern Tanzania. 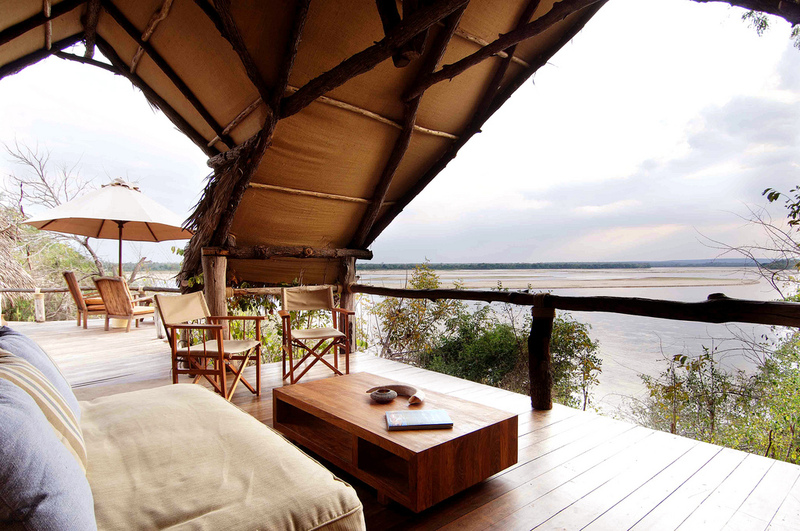 A good extension to Northern Tanzania maybe or for the seasoned Tanzania Safari goer. I shall find out. In Selous, I will be heading to Sand River Selous and then to Beho Beho Camp. Sand River Selous is a sister camp to Lamai Serengeti, one of my favorite camps in Northern Serengeti. Beho Beho Camp is by a lake and is known for its great walking guides and treehouse. Want to see what I see? Follow me on Instagram. I will post Safari pictures from Tanzania whenever I have access. Next up, preparations for my Safari. What to pack on Safari? I am doing only carry-on. What camera and lens to take? I have some suggestions coming up. Leave a comment if you have any. Want to join me next time? We can plan ahead for a Safari in 2016.